Discovering how to find new customers and engage with them and existing customers is the constant challenge for any company, and the internet has just made it different and added more immediacy to the work. Online advertising is good, but as consumers find ways to block it, advertisers find more and more creative ways to get it to you. Not all advertising is bad. Often I’ll have something come up in a Facebook feed, for example, that is interesting to me, and I’ll follow it and purchase it. However, the reality is click through rates are lucky to be one tenth of 1% of impressions. In the old days we had direct mail advertising, which was expensive and difficult to track effectiveness. It still exists, but over the last 15 years, the growth has been huge with email advertising. But not just email advertising – email management of existing customers to engage with them, keep them up to date, provide special offers, etc. This is a fairly crowded market, so companies have to distinguish themselves on price and features to make a compelling argument. I ran across Mailjet at DataWeek/API World and found their offering to be compelling and distinctive enough to take the time for a more in depth look at the product. First, of course, you need to load your contact list(s) – you can upload a delimited file or paste the information. A nice feature is that you can include a lot more information than just an email address, such as gender, age, city information, full name and all of these things can be used as variables for substitution in an email to personalize it more or to use their “segmentation” feature. This is a subtle but powerful feature. By including these variables, not only can you provide better personalized information within the email itself, but you can use it to target the receivers. So if you could send to only the men in your list, or people of a certain age or in a particular city. If you plan ahead a bit, you’ll be able to really maximize your campaign's effectiveness. Mailjet also offers a tool to create a mail widget that you can embed in your site to collect the mail list information that you want specifically, as you can see here. I won’t delve too deeply into the email design tool, as this isn’t a tutorial on a WYSIWYG editor. Suffice to say that they have a pretty robust designer, albeit with some flaws and a good amount of temples to choose from. You can create your own base template, as well, so that creating a new campaign in a particular style for your company is simple. What I really liked with Mailjet – and check out the screenshots below (with some private information blocked out) – is how easy and clear it is to get stats on your campaign and its effectiveness, even going so far as to compare campaigns to each other. You can quickly find how many emails were delivered, how many opened, how many clicked, how many bounced or were blocked and how many people unsubscribed. By scrolling down, the site will automatically generate the list of emails, and you can filter on those various types, so you can get the list of people that bounced, save it and then use it to remove them from that mail list so that your next email to that list will be cleaner. Speaking of bounce rates, Mailjet takes this seriously. If your mail list is stale and you are getting a high bounce rate (I tested this specifically to see what they will do), they will limit your account and might even disable the mail list entirely. This is a good thing as it complies with various laws and regulations. There are a few things that I would do differently in the product. They make a big point of telling you that they aren’t an email management tool. 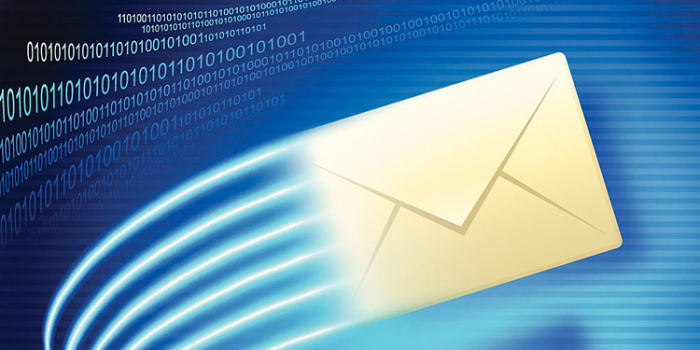 They are a marketing tool for email campaigns, and to this end, they do a very good job. The issue I have is that they are so close to letting you manage your emails, as well, that they should just go the rest of the way with it. Their WYSIWYG tool is very nice but still immature. Once you have a template you are working with, it’s pretty easy, but in some cases, I just couldn’t make it do what I wanted from scratch. I could only do it by manipulating a pre-built template. To be fair, Mailjet was very interested in my feedback, and I was able to speak with top level management at the company who seemed agreeable to the features. Mailjet lets you do a good amount of email management with a free account – 200 a day and 6000 a month. After that, the prices are reasonable, as well. I got decent engagement from my lists and was able to use the information to tweak what I was doing. Mailjet is an international company based in France with offices in New York, UK, Germany, Bulgaria and support in Toronto and Vietnam. Their system is all online; they have a simple pricing plan with strong email deliverability. They recently launched an open source framework for an email markup language called MJML that is an exciting, powerful framework and a great compliment to their robust API. I really liked their flexibility and focus on email and marketing maximization. Even their frequent newsletter provides a wealth of information. This is software that should be on anyone’s short list that is doing email management.